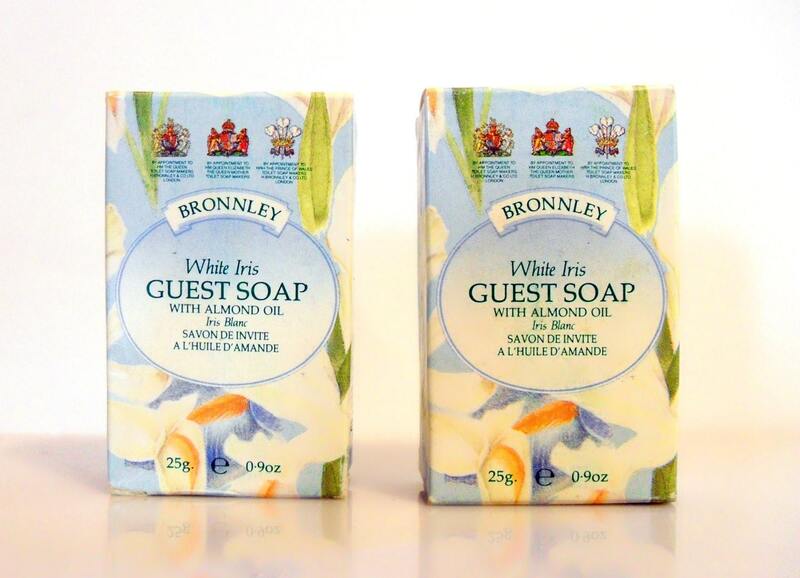 Pair Vintage 1990s Bronnley White Iris Guest Soap 25 g (0.8 oz) in boxes. The soap is old and I don't know how good it still is to use, so it is being sold as a collectible only. It is classified as an aldehydic floral fragrance for men and women. "BRONNLEY. 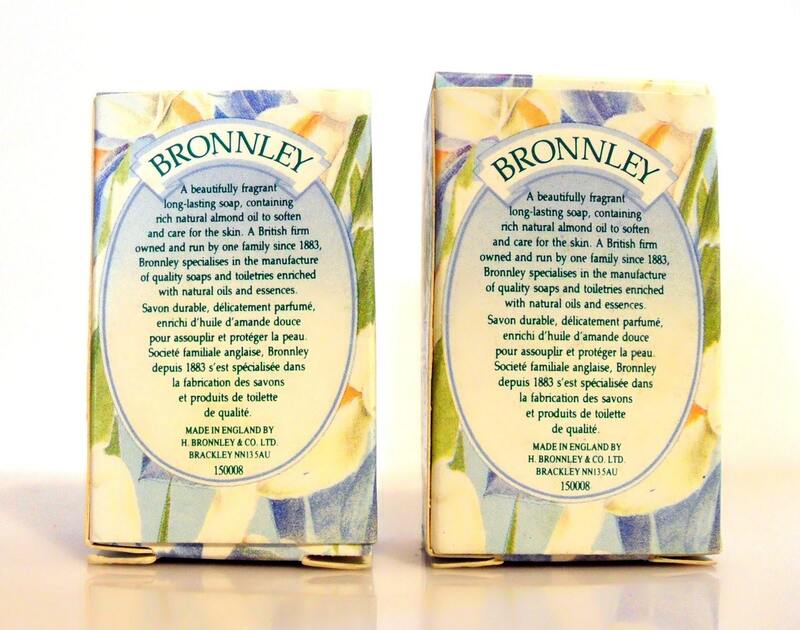 manufacturer of soaps and toiletries using natural oils and essences, now has an Almond Oil range which is suitable for men and women. It includes foam, shower gel, moisturiser and talcum powder. lt comes in three fragrances — Country Herb (brown), White Iris (white) and Camellia (peach coloured)."